Here’s a selection of my publications which are, when possible, links. The Fighter Folio. Contributing author (5e). Total Party Kill Games, 2018. Pathfinder Society Scenario #9-18: Scourge of the Farheavens. Author (Pathfinder). Paizo, 2018. Broken Earth: Hart Plaza. Author (Pathfinder). Sneak Attack Press, 2017. Alien Evolutions: Vinyari. Author (Pathfinder). Fat Goblin Games, 2017. Creature Card Catalogue: Brutal Beasts. Editor (5e). Fat Goblin Games, 2017. 5E Basic04: A Miraculous Time. Conversion (Pathfinder to 5e). Adventure-a-Week, 2017. 5E Basic03: A Giving Time. Conversion (Pathfinder to 5e). Adventure-a-Week, 2017. 5E Basic02: A Frightful Time. 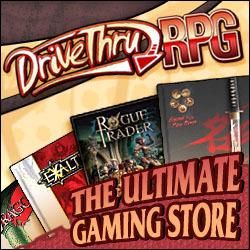 Conversion (Pathfinder to 5e). Adventure-a-Week, 2017. 101 Spells for the Common Man. Contributing author (Pathfinder). Zenith Games, 2017. Pathfinder Society Scenario #8-16: House of Harmonious Wisdom. Contributing author (Pathfinder). Paizo, 2017. “Processing Buried Data: An Archetype for Mediums” and “Enlightened Circuitry: Android Philosophies” in Wayfinder #16. Contributing author (Pathfinder), editor and proofreading. Paizo Fans United, 2017. The Necromancer: A Class for The Black Hack. Author (The Black Hack). Self-published, 2016.
vs. Moon Men. Author (vs. M Engine). Fat Goblin Games, 2016.
vs. Ghosts Adventure: The Talking Board. Author (vs. M Engine). Fat Goblin Games, 2016. Shadows Over Vathak: Player’s Guide to Vathak. Contributing author (fiction). Fat Goblin Games, 2016. The Bloat Cave of the Man-Flies. Author (The Black Hack). Self-published, 2016. 5E Basic01: A Learning Time. Conversion (Pathfinder to 5e). Adventure-a-Week, 2016. “Furnace Mother” in The Colossal Creatures Bestiary. Contributing author (Pathfinder). Zenith Games, 2016. “Amyra Issaq” in Arcane Focus: The Great Bazaar. Contributing author (Pathfinder). Outland Entertainment, 2016. Arcane Focus: The Wayfarer Magics of the Vagabond Mage. Lead author (Pathfinder). Outland Entertainment, 2015. Broken Earth: Ludington, a Tale from the Great Lakes. Author (Pathfinder). Sneak Attack Press, 2014. 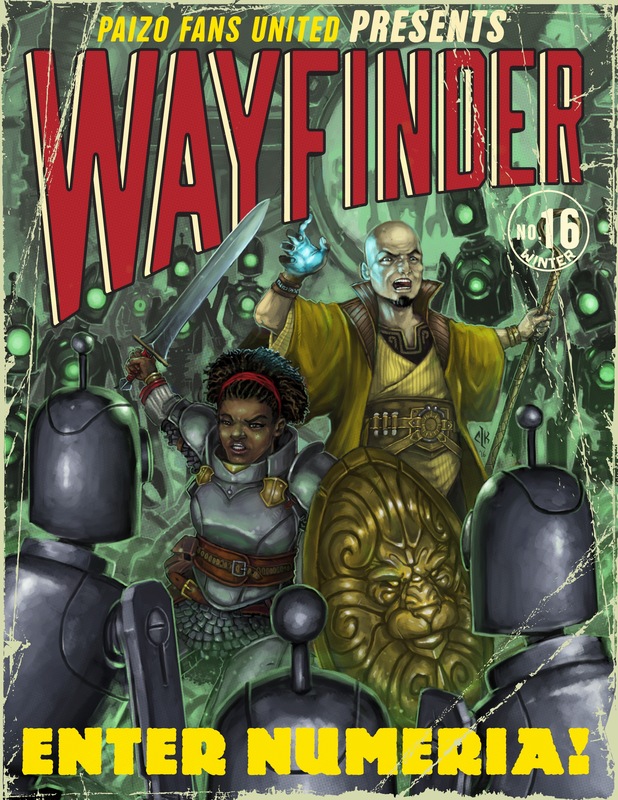 “Sons of the Tear” in Wayfinder #11 (PDF edition). Author (Pathfinder). Paizo Fans United, 2014. Spellbooks & Bullets: Magic and Modern Warfare in the 20th Century. Author (d20 System). Emerald Press, 2009. The True Arcane Story: Clay Golem Manual. Author (d20 System). LPJ Design, 2007. The True Arcane Story: Cape of the Mountebank. Author (d20 System). LPJ Design, 2007. The True Arcane Story: Monk’s Belt. Author (d20 system). LPJ Design, 2007. The True Arcane Story: Goggles of Night. Author (d20 System). LPJ Design, 2007. The True Arcane Story: Cloak of Arachnida. Author (d20 System). LPJ Design, 2007. Folkloric: The Flight of the Firebird. Author (d20 System). Dog Soul Publishing, 2005. Unorthodox Druids. Author (d20 System). The Le Games. 2004. “From Audience to Public: Comic Book Fanzines in the Seventies and Eighties.” MA Thesis, Michigan State University, 2014. “Youth Crime Under Perestroika.” Vestnik, the Journal of Russian and Asian Studies, no. 10, 2011. Book review. Nupur Chaudhuri, Sherry J. Katz, and Mary Elizabeth Perry, editors, Contesting Archives: Finding Women in the Sources; Gendered Perspectives on International Development, 27:1, Fall 2011. Artwork: “Polisher at Work“, by Edmond Morin, from Les grandes usines vol. 1, by Julien Turgan, 1875.